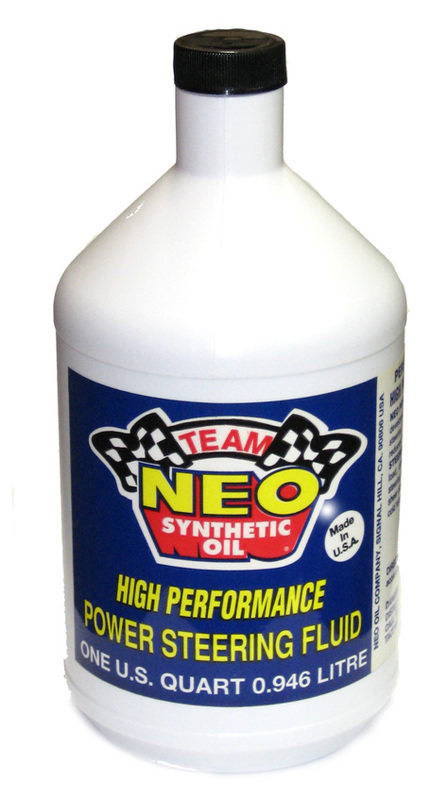 NEO Power Steering Fluid is designed for high performance applications, with anti - foaming agents, anti - wear additives, extreme pressure additives and friction reducers designed to operate under severe conditions, such as are found in racing. It will operate at higher temperatures, resist corrosion due to heat buildup and uses a friction modifying agent to eliminate seal chatter and erratic motion found with standard petroleum based fluids. Used by virtually every racecar equipped with power steering.